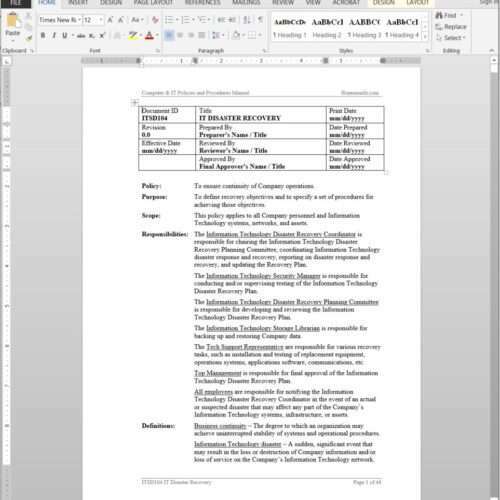 Develop your Information Security Policy and Procedures Manual easily using editable Word templates. 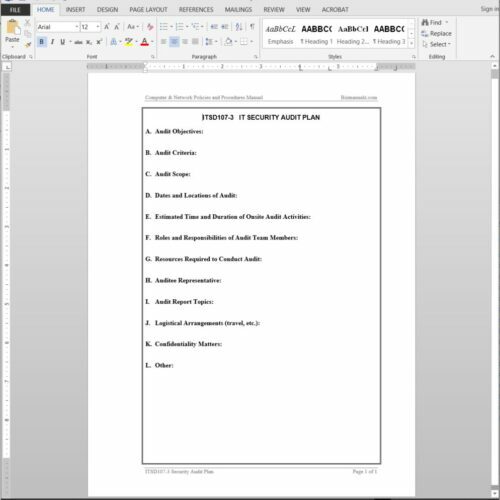 This set of downloadable Computer Information Security policy templates is also included in the Computer & IT Policies and Procedures Manual. 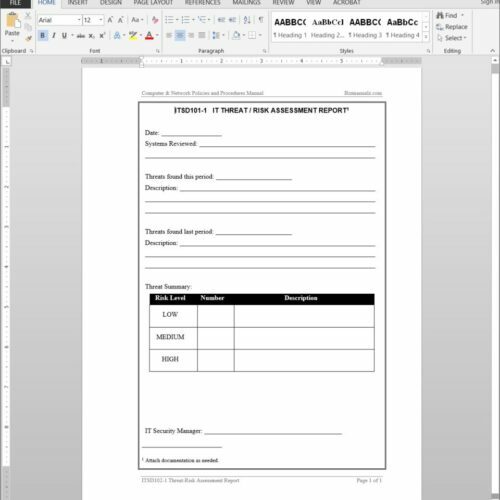 It includes prewritten MS-WORD procedures with forms templates for any information Security department. DOWNLOAD yours now. The company should promote information security, and confidence in its ability to not only continuously provide goods and/or services, but also to recover quickly from IT disasters with minimal computer disruptions. The included Information Security Policies help to provide a safe, secure IT environment to serve the company’s customers’ requirements and ensure stability and continuity of the business IT Assets. This Information Security Policies and Procedures Manual was developed to assist organizations in preparing a Standard Operating Procedures (SOP) Manual for any industry or business size. It can be custom tailored to fit one’s individual company Information Technology security policy concerns and operations. Download Your Information Security Policies and Procedures Manual Now! Improve all aspects of your Information Security policy & procedures, including IT threat-risk assessment, information security planning, incident handling, and more. Save time using prewritten Word IT Security Policy Templates. 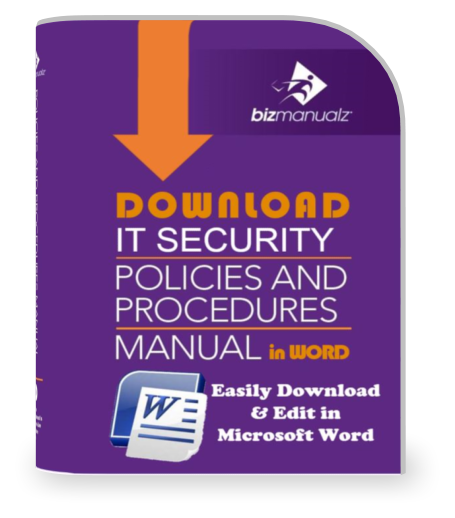 The IT Security Policies and Procedures Manual comes with easy-to-edit Microsoft Word document template files, available as a convenient downloadable file. Take advantage of this special package and start saving yourself the time and money to develop this IT Security material. Download yours now!